Charging your phone or other small gadgets outdoors does not have to be a hassle. Solar chargers can certainly help but they may not work in every situation. The FlameStower Charger is a handy device that lets you charge your smart gadgets with fire. It is light, compact, and rugged. It will work with any fire source. 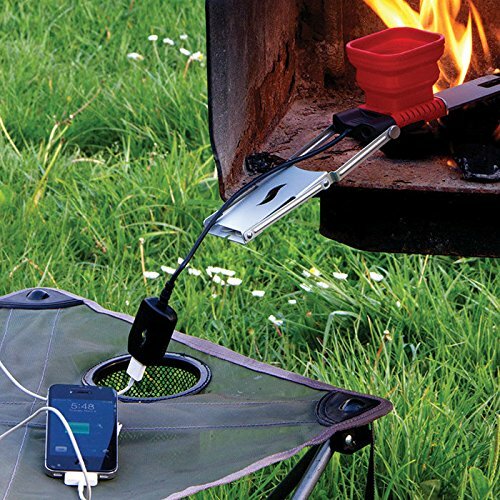 The FlameStower Charger captures excess heat from campfires to charge your devices (thanks to its Thermoelectric Generator). Just unfold the legs, fill the reservoir with water, and place the blade in fire. The device weighs 10 oz, so you can take it with you around easily. Any fire source should work. 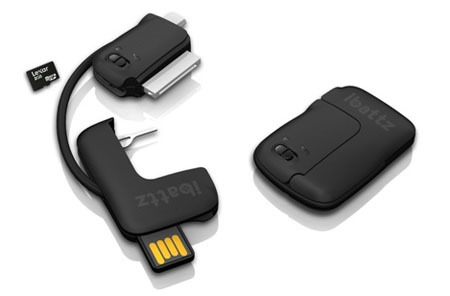 The device is available for under $100 at this time.